What are Your Copyright Goals? © 2016 Missouri University of Science and Technology, All Rights Reserved. The text contained in the guide is licensed under a Creative Commons Attribution-NonCommercial 3.0 United States License. The Gold Men Images used in this guide are licensed for use from shutterstock and are protected by U.S. Copyright. They may not be used or downloaded with out permission. The photo of the guide author is protected by U.S. Copyright and may not be used or downloaded without permission. Nothing on this guide is to be construed as legal advice. These pages are intended to provide information and guidance in the application of copyright law and to expand on the University of Missouri System Collected Rules and Regulations. This section reviews the options available to you to ensure you have the level of copyright management to meet your needs. You will learn how to share your work as broadly as possible or control access to your work. Negating with publishers is also discussed. Not all creators have the same objectives for their work. Some want to share their works as broadly as possible, and don’t particularly care if someone else remixes it or reuses it or even makes money from it. Others want to control exactly how their works are used, and by whom, and don’t want others to profit off of their works, either at all, or at least without paying the authors. Many creators want attribution, always, but some like to work anonymously. Our position is that whatever an author wants is fine, but you should be well informed before deciding and should make such decisions for yourself. And that starts with keeping rights. Today, in the Internet age, many creators must choose between trying to commercialize their work in traditional ways, or trying to maximize exposure, likely without direct compensation, though possibly with the goal of achieving fame or future compensation. We don’t claim that one choice is better than another: it all depends on what you want, or on the work in question. But each choice can lead to different kinds of copyright management. So it’s important to think through your goals for the work, and to ensure that the choice you make will achieve those goals. So, what are your goals? Non-Commercial, Free Distribution On the Internet: You just want people to read/see/hear your work, and you don't care much about getting paid. Maybe you want to control what others do with your work, maybe you don’t. You might want to distribute your work yourself (for example, over the Internet). Non-Commercial, With Intermediary Distributors: You're primarily interested in exposure for your work, but you need a distributor—often a commercial entity like a publishing company. Even if you don't expect your work to generate revenue (for you), you may want to make sure you can “recycle” your work in revised or updated versions, or to make nonprofit educational uses of your work. Academics usually fall into this category, as do many independent consultants and others who create works but do not expect to profit from them. These creators often use professional intermediaries, such as journal publishers, to distribute their works because the intermediary’s intervention confers credibility and/or prestige. Commercial Distribution: You're a professional creator who makes a living off your creative works. You want to be paid for granting rights, but you may also want to hold onto as many rights as you can in order to maximize the returns from different ways of exploiting your work. You may have to deal with commercial distributors whose interests may differ from yours, especially as time passes and new media lead to new ways of exploiting works. When an author submits an article to a journal publisher, the publisher requires the author to sign a Copyright Transfer Agreement (CTA). The CTA is legally binding and grants the publisher either non-exclusive or exclusive rights to distribute the aritcle. When the publisher is granted exclusive rights to the article, no one, including the author, can re-use the article for any other purposes without seeking permission from the publisher. It is important to read and understand the copyright transfer agreement in order for the author to know what rights the author retains and what rights the publisher retains. If the rights the author wants to retain are not included in the CTA, then the author should modify the CTA by inserting his/her own language into the Agreement or by using an author addendum. The time to read and make changes to the Copyright Transfer Agreement is before it is signed. Once the agreement is signed, the likelihood of getting the publisher to modify the author rights is minimal. 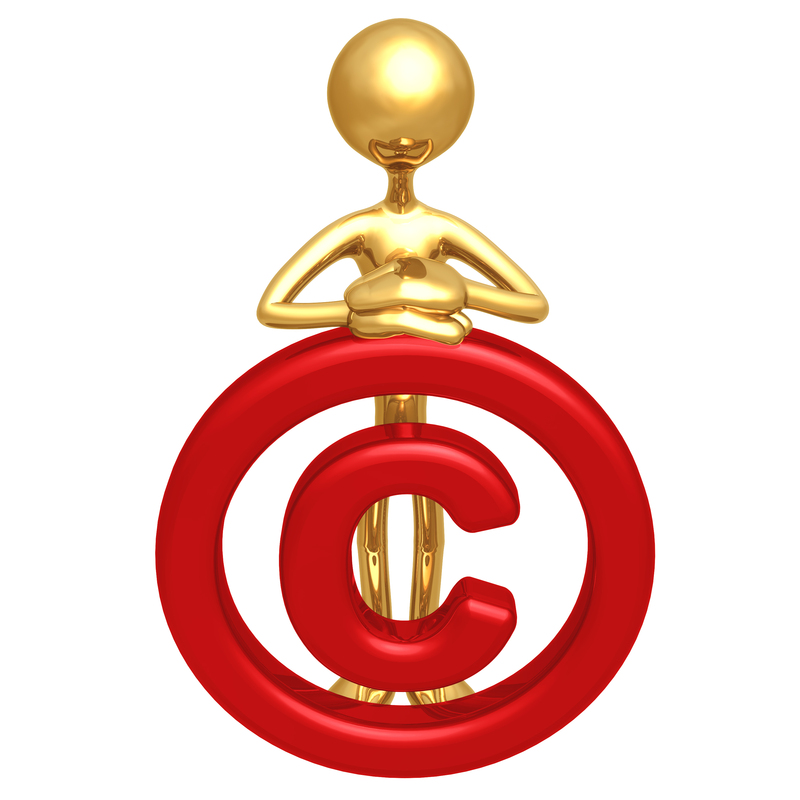 Copyright lasts 95 years if owned by a corporate entity. Once a copyright transfer agreement is signed over to a publisher, the publisher controlls the access in all formats (known or unknown) for a very long time. What rights is the publisher requiring you to transfer? Is the publisher requiring you give exclusive rights or non-exclusive rigths to the publisher? Exclusive rights are the most restrictive. The time to negotiate the Copyright Transfer Agreement is at the time a signature is required for the transfer. Some publishers require the CTA at the time of manuscript submission. Request that you wait until the paper has been accepted. If you must sign upon submission, be sure to read the transfer agreement and negotiate your terms in the event the manuscript is accepted. Some journals have an online submission process that requires that you accept the publisher's terms without giving you an opportunity to negotiate or include an author's addendum. If this is the case, copy the agreement and save it, edit it with the rights you want and send your copyright transfer by email instead. How does the CTA address co-authors? Does the CTA have provisions for government employees or work-for-hire authors who represent their institution? What are they? Be wary of an agreement in which the publisher considers you as the author a work for hire by the publisher. Seek advice if you see this provision since the ageement might prohibit you from publishing future works with other publishers. Does the CTA address funder mandates such as the National Science Foundation (NSF), National Institute of Health (NIH), or similiar organizations? Will the publisher submit NIH-funded articles to PubMed Central (PMC) on the author's behalf? What version of the mansucript will the publisher submit to PMC? Does the CTA have provisions for the author to reproduce, distribute, create derivative works including updates, perform or display the work publicly? Can the author use the article in electronic, digital, or print form in connection with teaching, conference presentations, lectures, other scholarly works, and for all the author's academic and professional activities? 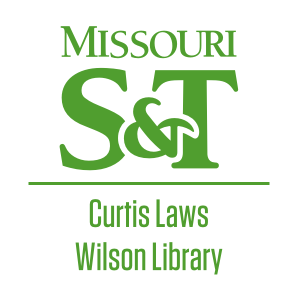 Can the author make or authorize others to make, the articles available in digital form over the Internet, including but not limited to a website under the author's control or the author's employer or through any digital repository, such as Missouri S&T's Scholars' Mine? Keep in mind, it does not hurt to ask for rights you want to retain. If the publisher says no, you can decide whether you want to continue with the submission. At least you will have a thorough understanding of the terms to which you agree. Lastly, you must save a copy of your Copyright Transfer Agreement for future reference. Publishers require you to transfer your copyright to them exclusively and they in turn may grant you some limited rights back to you. electronic distribution for teaching and other scholarly purposes. reuse of content as a dissertation or thesis if applicable. reuse of tables, graphs, figures and illustrations. reuse of data contained in the article. the right to deposit to your institution's repository (Scholars' Mine), PubMed Central and other discipline-specific repositories in a version that mirrors the peer reviewed approved manuscript. Open access publishers operate in an opposite manner. You retain your copyright and transfer some rights to the publisher under a Creative Commons license. If you have granted rights, there are a variety of circumstances in which you can get your rights back. First, your contract may provide for a reversion of rights, by granting rights back and/or by including an out of print clause. Second, even if your contract purports to be irrevocable, and to last for the full term of the copyright, the copyright law gives you the opportunity to get most of your rights back 35 years after you entered into the agreement. You have this “termination right” even if your contract says not only that you gave everything away for all time but also that you promised not to try to get your rights back. An increasing number of contracts demand exclusive rights of varying scope depending on the contract, but then provide that the author gets the rights back after a certain time (for example, one year). Or some provide that after a certain period, the creator gets the rights back, but the grantee may continue to engage in certain kinds of exploitations on a non-exclusive basis. Depending on the contract, the creator and grantee may exploit the work without getting each other’s approval; depending on the contract, the grantee may keep on exploiting the work on a non-exclusive basis without having to pay the author. If you have to give up exclusive rights, this is a fairly creator-friendly compromise, but you may want to try to retrieve enough control to have a say in what the grantee does (or to get paid for it). Many book publishing contracts include “out of print” or “reversion of rights” clauses. These allow an author to regain copyrights in works that the publisher is no longer exploiting. In most publishing contracts, the rights do not automatically revert; it is up to the author to demand that the publisher put the book back on sale, and if the publisher declines to do so within a specified period, the author gets the rights back. Not all publishing contracts define “out of print” in the same way. For example, “out of print” can mean that the work is no longer printed (meaning in hardcopy) in English for sale through the standard channels (bookstores, the Internet, etc.). Or it can mean that the publisher is no longer offering it for sale. Or that the publisher is selling fewer than a specified number of copies over a specified time period. Recently, at least one publisher has taken the position that a book never goes “out of print,” because digital media make it possible for publishers to make the book available on demand. So even if the publisher sells only one copy a year (or for that matter, no copies), the book would not be “out of print” because the publisher stands ready to make and send a copy to anyone who requests it. As you might expect, this is a very controversial position, and many authors contest it. Is the term “in print” clearly defined? Is there a minimum number of books that must be sold in order for the item to be considered “in print”? Are electronic versions of the work included in the definition? How much time does the publisher have to put the book back on sale if the author invokes the “out of print” clause? A creator who has transferred her rights to another entity, such as a publisher or record label, may terminate the grant in certain conditions. These conditions are covered under Section 203 of the Copyright Act, and are outlined in the pages indicated on the bar to the left. For more information on termination, see "A Second Bite of the Apple: A Guide to Terminating Transfers Under Section 203 of the Copyright Act" and the Creative Commons' Termination of Transfer Tool. If your goals are exposure, rather than payment, Creative Commons and other open access websites can be a good place to start. These sites offer a way to waive rights of economic control. They make it easier for others to use your works, without your having to give up all control—allowing you, for example, to demand attribution or to withhold permission to alter or adapt the work. If that’s you, a Creative Commons license may be the kind of thing you’re looking for. The Creative Commons website does a good job of explaining the available options. A typical Creative Commons license lets people copy and distribute your work, so long as they give you credit. The main questions are whether you want to choose a license that will allow other people to modify your work, and/or whether you want a license that will allow others to use your work commercially. The greatest danger for creators who seek broad distribution without payment for their work is divestiture, both inadvertent (you didn’t realize what rights you were giving up, or you didn’t understand the consequences of giving up certain rights) as well as intentionally giving up rights now that you didn’t realize you might want to control later. For example, say you are making a series of videos to post on a user-generated-content website. While you’d like to maximize exposure, you might also hope one day to commercialize the works, perhaps selling the videos as a DVD. In that case, you probably want a Creative Commons or other license that reserves commercial uses of the product to the author. You should be aware, however, that even if you reserve commercial uses, you may be compromising the later commercial prospects for your work if you make it widely available for free now. The international authors’ rights group, Association Littéraire et Artistique International, has published a memo [PDF] [Word doc] describing some of the potential pitfalls of Creative Commons licenses for authors. You're primarily interested in exposure for your work, but you need a distributor—often a commercial entity like a publishing company. Even if you don't expect your work to generate revenue (for you), you may want to make sure you can “recycle” your work in revised or updated versions, or to make nonprofit educational uses of your work. Academics usually fall into this category, as do many independent consultants and others who create works but do not expect to profit from them. These creators often use professional intermediaries, such as journal publishers, to distribute their works because the intermediary’s intervention confers credibility and/or prestige. In this area, however, many businesses present creators with contracts that convey most or all of the creator’s rights. Ironically, for example, sometimes a not-for-profit publisher’s initial position is even more demanding than a commercial publisher’s. (The Contracts section of this website contains examples of such overreaching contracts.) The publishers or other businesses may assume that the author is eager to get published or distributed, and doesn’t know any better than to assent to whatever the contract demands, especially if the author is an academic or inexperienced. If you’re in this group of creators it is important to understand the bargaining power you have—even if you don’t realize you have it. The distributors want your work, and aren’t paying you for it, so you may have much more leverage than you realize to hold on to your copyrights. You're a professional creator who makes a living off your creative works. You want to be paid for granting rights, but you may also want to hold onto as many rights as you can in order to maximize the returns from different ways of exploiting your work. You may have to deal with commercial distributors whose interests may differ from yours, especially as time passes and new media lead to new ways of exploiting works. If you are creating works for a living, payment is paramount. Some contracts offer one-time, lump-sum payments; others give an advance and then a stream of royalty income when (if) the advance is earned back; still others provide for royalties without an advance. If your contract provides for royalties, you want to make sure you're being accurately paid for your grantee's excercise of whatever rights you granted. Sherpa/RoMEO is an excellent source for information about journal publisher copyright and self-archiving policies. The aim of the DOAJ is to increase the visibility and ease of use of open access scientific and scholarly journals, thereby promoting their increased usage and impact. The DOAJ aims to be comprehensive and cover all open access scientific and scholarly journals that use a quality control system to guarantee the content. In short, the DOAJ aims to be THE one stop shop for users of open access journals.